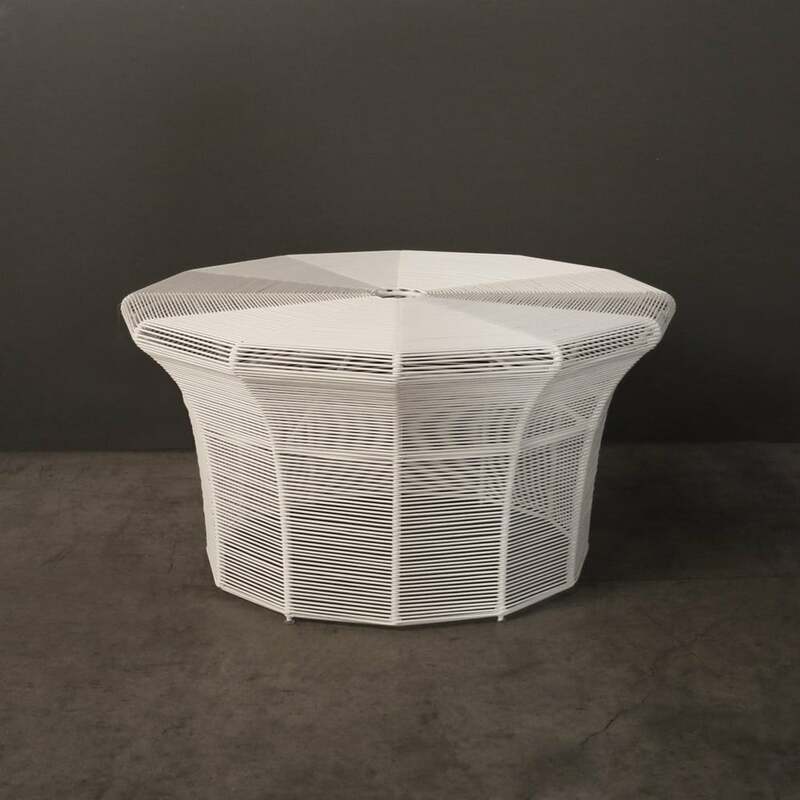 Breathe into a world of style and sophistication with the Poppi Wicker Coffee Table in chic White. The Poppi Coffee Table is a beautiful addition to a strong, elegant collection. Boasting a wide flat and round tabletop, and flared base, the Poppi Collection shows off the charm and splendour of the outdoor wicker. Featuring in this range are two sizes of side tables, and the option of Black or white! Curate the outdoor living space of your dreams with Poppi! Envisage your verandah, a wide, open space perfect for entertaining. Purchase a large sectional set, such as our amazing Cabo Collection, and then, front and centre, place the Poppi White Wicker Coffee Table. This chic addition will create a beautiful dynamic and warmth in your patio space, which your friends will find inviting, stylish and oh so comfortable! Situate a couple of comfy chair, such as our Monet Teak Relaxing Chair in a quiet corner of your garden… all you need is a place to rest your books, snacks and drinks as you doze the day away in the comfort of your surroundings… place the Poppi Coffee in between and enjoy the communion with a loved one in total luxury. The Poppi Wicker range is made from high end products, because we know how important it is to combine luxury with quality! Each piece has been masterfully constructed using a powder coated aluminium base to frame the wicker on. And the wicker is absolutely gorgeous, not to mention a through dyed and UV treated product that looks good as new year after year! Design Warehouse is at the forefront of all things outdoor furniture! To configure your space into a haven of epic proportions, pop in and see us today, or peruse our website. Among the fantastic Poppi Accent Tables, we also carry incredible deep seating, dining furniture, accessories, planters, and umbrellas. Call us today to order your Poppi Coffee Table!